NormaCLAMP® GBS are particularly suited for sealing suction and pressure lines with plastic or steel reinforcements and high shore hardness. Their distinguishing feature is the extremely high band tensile force. The assembly of NormaCLAMP® GBS is easily completed by means of either manual, pneumatic or electric standard tools. = improved efficiency, cannot get lost. = allow to withstand significantly higher torques. 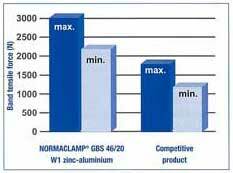 The NormaCLAMP® GBS are specially suitable for use on commercial and special vehicles. 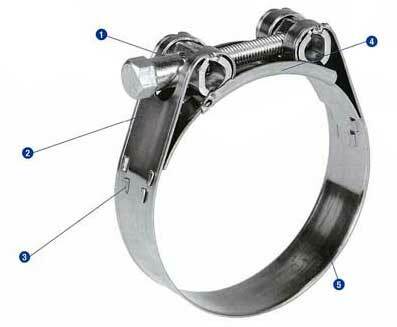 Sealing and retaining suction and pressure hoses with steel or plastic reinforcements and high shore hardness. The advantages at a glance : twofold improved failure torque, and threefold improved band tensile forces.